Zayna is an Image Strategist & Consultant at Zayna Rose Inc., her Toronto based practice. Services involve image and lifestyle management, communications coaching, etiquette and protocol, personal shopping, personal branding and styling, and public image development. An international clientele includes those in finance, technology, communications, education, athletics, and entertainment. Everyone from students to corporate executives and high profile individuals are provided with customized image management strategies that can include PR and brand equity advice. 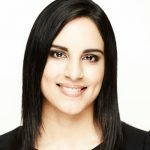 In addition to extensive image industry certifications from the International Image Institute, Zayna holds a Bachelor of Arts Honours in Psychology from Queen’s University and a Public Relations Certificate from the University of Victoria. This education coupled with ten years of consulting experience results in her distinctive professional process and an approach that is practical, creative and contemporary. Zayna was named the image industry’s “Rising Star” of 2004 by the Association of Image Consultants International (AICI), and achieved Certified Image Professional (CIP) status in 2006 as a result of her professional achievements and reputation. Zayna’s past leadership roles for AICI include VP Programs on the Canadian Board of Directors, Chair of the International Human Resources Committee, VP Fund Development & VP Marketing for the International Board of Directors. Zayna often appears on national television and in newspapers in Canada as an image expert. She is asked to comment on the hot news topics of the day as well as international and domestic image related stories.